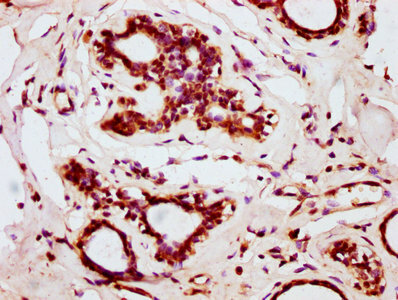 IHC image of CSB-PA867143LA01HU diluted at 1:200 and staining in paraffin-embedded human breast cancer performed on a Leica BondTM system. After dewaxing and hydration, antigen retrieval was mediated by high pressure in a citrate buffer (pH 6.0). Section was blocked with 10% normal goat serum 30min at RT. Then primary antibody (1% BSA) was incubated at 4°C overnight. 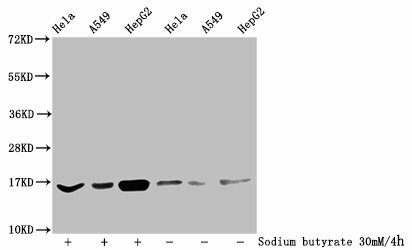 The primary is detected by a biotinylated secondary antibody and visualized using an HRP conjugated SP system. 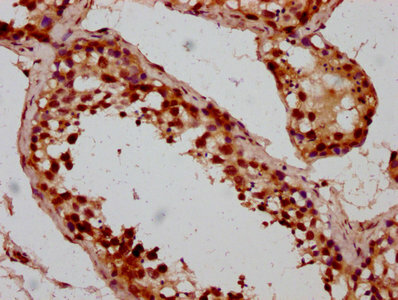 IHC image of CSB-PA867143LA01HU diluted at 1:200 and staining in paraffin-embedded human testis tissue performed on a Leica BondTM system. 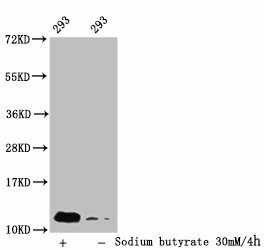 After dewaxing and hydration, antigen retrieval was mediated by high pressure in a citrate buffer (pH 6.0). Section was blocked with 10% normal goat serum 30min at RT. Then primary antibody (1% BSA) was incubated at 4°C overnight. 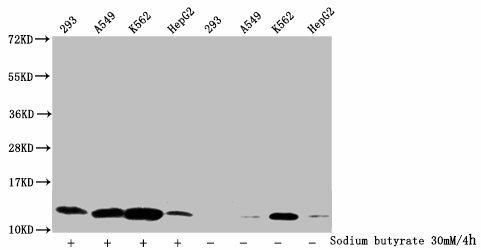 The primary is detected by a biotinylated secondary antibody and visualized using an HRP conjugated SP system. 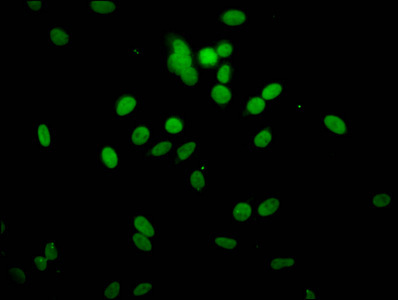 Immunofluorescence staining of Hela cells with CSB-PA867143LA01HU at 1:66, counter-stained with DAPI. 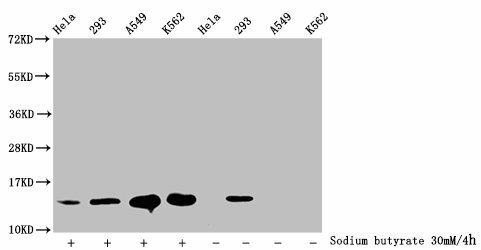 The cells were fixed in 4% formaldehyde, permeabilized using 0.2% Triton X-100 and blocked in 10% normal Goat Serum. 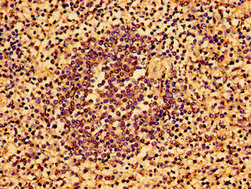 The cells were then incubated with the antibody overnight at 4°C. 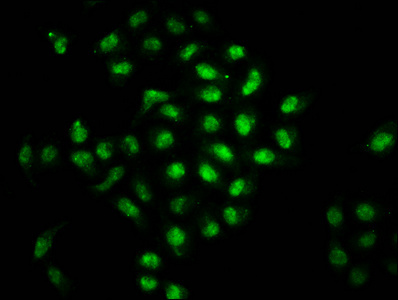 The secondary antibody was Alexa Fluor 488-congugated AffiniPure Goat Anti-Rabbit IgG(H+L).